The NIU College of Business has entered into a partnership with Chicago-based incubator MATTER . The entity was established in 2015 and focuses on creating heroic change in the healthcare industry. It develops healthcare innovations through a coalition of experts, organizations, and startups. Jeff Aronin, NIU Business marketing alumnus, co-chairs MATTER. 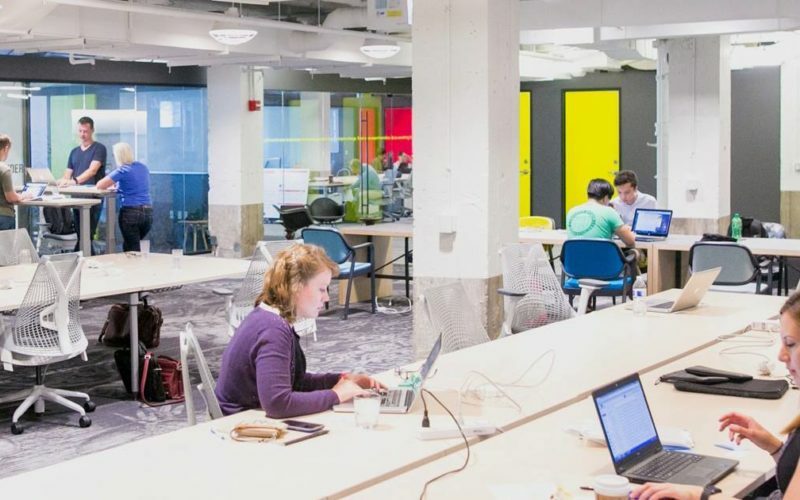 Based out of Chicago’s Merchandise Mart, MATTER’s extensive network of passionate experts currently includes more than 200 healthcare startups and 70 partnerships with health systems, universities, life science companies, and insurance providers. NIU Business now adds its talents to this highly focused coalition. In spring 2019, students in the college’s Experiential Learning Center will work with two MATTER start-ups. The ELC program brings the fresh perspectives of faculty-guided student teams to bear on firm-specific problems. In similar fashion, students in the college’s Executive MBA class will serve as student consultants on three other MATTER startups. NIU’s partnership with MATTER provides opportunities for NIU faculty and staff to mentor MATTER entrepreneurs, and to develop and lead workshops to members throughout the coalition. In addition, NIU students, faculty, and staff will have access to the group’s Merchandise Mart work space, meeting space and event space, as well as to research subjects, workshops, and networking opportunities. View the video to watch as MATTER CEO Steven Collens describes the organization’s mission by showcasing a recent healthcare innovation project.